We are happy to announce we have received our certification for Design and Development of sites using ShopSite, our favorite shopping cart! We have been designing and developing sites using ShopSite for years, but just never applied for certification. And we passed with flying colors. Check out our portfolio page to see some of the sites we’ve designed/developed. In need of a shopping cart, let us get you started. My most recent rebuild was www.janicesinvites.com. This was a fun one as I was able to use a lot of ShopSite’s new features and templates. Check it out and let us know what you think! It is getting to be that time again. Thanksgiving will be here before we know it. 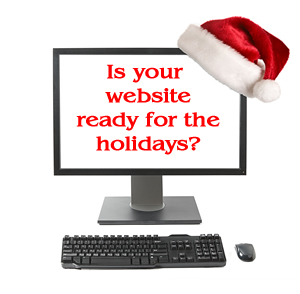 Is your website ready? Checkout every aspect of a purchase … make a purchase yourself on your own site using a computer and a mobile device. If possible have a friend do it with you in the room so you can really see where there might be problems. Be sure to clean up everything possible and streamline the buying process. If the site lags, see if you can clean up what is causing the slow down. Be sure to check the order confirmation page and email the customer gets. These are often overlooked by manufacturers. 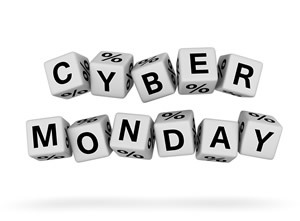 Once you are sure everything is working as it should it is time to get ready for your cyber Monday incentives. Decide what type of special you want to have. See what your competitors are doing. Perhaps free shipping or buy so many get one free. You should try to make this a “better” sale than something you normally have. It is also a good way to clear out inventory if you have a lot of a certain product. Speaking of inventory, be sure you have enough of what you are offering to keep customers happy. It is also a good idea to advertise that you will have a Cyber Monday special. Create a banner for your home page and be sure to post it to your facebook, twitter and blog. You don’t have to give complete details, just enough to get your customers interested. Then on the Sunday before, you can send out a blast of what the special will be. Setup your special and TEST IT ahead of time! Make sure it works before you go live with it. Nothing worse than having a bunch of potential sales fall through and upsetting customers because something wasn’t setup correctly. If you are having any other holiday promotions, now is the time to get them ready. 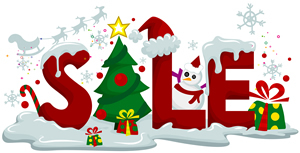 Create all your banners, coupon codes etc… to have them all ready during your busiest time. The more prep work you do, the calmer the time can be. So, you are seeing strange results on you webpage … your meta description is showing on the page and it shouldn’t … what gives? Maybe you recently added schema.org tags to your site and now those are showing on the page and shouldn’t … what is going on? This will cause a problem with the meta tag because the quote after diameter actually closes the quote after the content=. Herein lies the problem. So we really want a quote as it means inches in this case. What can we do? Have tons of products in a spreadsheet … do a find and replace on the column that needs it. Time for that last minute push for holiday sales! Review why people are leaving items in their cart and not purchasing … is shipping too high? Is your checkout procedure too complicated? Consider “specials” to get your customer to stay and purchase more. If there is only one item in the cart, consider offering a special coupon code if they purchase 2 or more … can be a percent off or free shipping. This will often entice the visitor to look again. Offer this code on the billing/payment information page so that if they don’t want to do it, they don’t have to and can still just check out. Clearly state on your site when the last day is for Christmas delivery. Offer next day or 2nd day shipping for an additional fee. Offer gift cards or gift certificates. This is GREAT for the last minute shopper. Create a .pdf they can print out for the recipient of their gift so they have something to wrap if it is really last minute. And lastly, be sure to checkout your own site and purchase something as though you were a shopper. This way, you will know if there is anything that might need to be “cleaned up”. It is getting to be that time again. Thanksgiving will be here before we know it. Time to get ready for your cyber Monday incentives. Decide what type of special you want to have. See what your competitors are doing. Perhaps free shipping or buy so many get one free. You should try to make this a “better” sale than something you normally have. It is also a good way to clear out inventory if you have a lot of a certain product. Speaking of inventory, be sure you have enough of what you are offering to keep customers happy. Many sites now have affiliate programs where you can advertise for them and earn a commission. There are large companies that manage many affiliate vendors and if you become a member there you have many companies at your disposal. Or, if you use ShopSite, it has a built in affiliate program. But as a manufacturer, how to decide if it is a good idea and how big do you go? Look at your direct competitors … are they doing it? Look at the cost … how much does it cost you to maintain the program vs how much you get in increased exposure and revenue. You must also be careful who you allow to be an affiliate. If it is what is called a “coupon” site and they are your affiliate you may be paying out when really they didn’t give you any benefit. How can this be? Say a customer is on your site already. But they think, hey, maybe I can find a coupon code. They do a search for “coupon codes for X company”. They get to the coupon site, click the link for your store that looks like a coupon and really all that happens is the coupon site now gets a commission for referring that customer when they really didn’t. With ShopSite you can run your own affiliate program. You decide who gets in and you also decide how much commission each partner earns. So you can have different earnings based on how large they are, if they are a website or blog or just send the link in email. 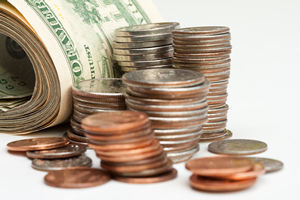 ShopSite creates reports that show you how much each affiliate earns. The only down side is that YOU maintain all of the program … meaning you must cut the checks to the participants. Nelle and Lizzy just setup an affiliate program. Stay tuned and we’ll let you know how it goes. But for now, you can check out the pages created explaining the program and see if it might be something you’d want to try with your store. 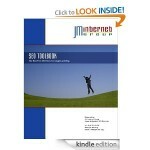 Recently reviewed a SEO (Search Engine Optimization) Toolbook by Jason McDonald. This book contains info on how to use Google and Bing’s free … yes FREE tools to help you with SEO. Granted you do need some knowledge of SEO. But if you need that knowledge, you can get it with his online courses here: http://www.jm-seo.org and yes, some of his courses are also FREE. In this toolbook, Jason explains how to pick your keywords, analyze your page tags, identify the links you want, writing press releases, website structure and more. This is just what to do to your website. Then he goes on to explain how to find out what you should do using Google and Bing tools as well as many other top SEO sites. It isn’t true that “if you build it they will come”. You need to keep up on the current SEO trends and why not do it using free tools. You don’t have to use all the tools he recommends, just try a few and find out what ones you like that work best for you. Start out slowly … changing just some of your site and see what works. You will eventually want to use the information you will gain on all main pages of your site. Chances are if you are not going to put time and effort into SEO, your lack of visits and sales will show it. For those of you who use Google Checkout/Wallet as a payment option, looks like big changes are coming. As of November 20th, this service will no longer be available. Basically, Google Checkout/Wallet had acted as your payment gateway AND your merchant bank, very similar to how PayPal works. Google has decided to quit doing this and say they will not offer a replacement product. What does this mean to you? If you offer Google Checkout/Wallet as a payment option in your ShopSite store, this will no longer work as of November 20th. You MUST be sure you have another payment option available. As I mentioned, PayPal basically works the same way so that would be a good option. Also, if you usually pay your invoices from me via Google Checkout, you will need to use PayPal or send a check beginning in October 2013. There is often a need to share files … easiest way is usually to just send an email. Many times, however, you may need to send multiple very large files. In these cases, you need a better solution … and a free one is the great! If you have a google account, and most of us do, you can use Google Drive to share files. Just go to http://www.drive.google.com , login with your normal google login. Just need to share files? Click the upload button (the arrow pointing up on the left hand side), click Files, browse to the file to upload (hold down the ctrl key to pick multiple files), click on open. A new window will show up showing the upload is complete. If you want to share these files, immediately click on the share button next to your file. You will then get the link to share the file or, you can enter in email addresses of people you want to share it with. This email address should be in their Google account. Want to use Google Drive to store important files? You can do that too. Download the software to your PC, follow the instructions and you can have files on your computer synched to your Google Drive account. This creates a backup if you will of your files and also lets you access them from other computers. For more help on Google Drive, visit the Google support center: http://support.google.com/drive/?hl=en . DropBox.com offers a service where you can upload images to a cloud directory and then share that directory with others via email. 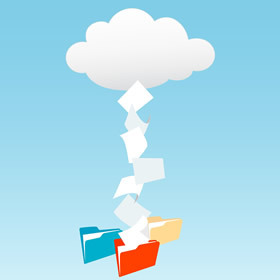 Similar to Google Drive, an additional feature of DropBox is that you can download their software and actually have DropBox sync to a directory on your computer in essence creating a backup of your data. If you change a file locally, then DropBox will also get a copy. To, take the tour, you can start here: https://www.dropbox.com/tour . You can join with this link: http://db.tt/Fn8tRRPb .